A smile is the first thing most people notice when meeting someone new. When your teeth are crooked, it could affect your self-confidence and make you less apt to openly smile. You may worry about how others perceive you because of your less-than-perfect smile. Fortunately, at Echeverri Dental Center, we offer orthodontics as a solution to help you straighten your teeth and increase your self-esteem! Interceptive Orthodontics: Interceptive orthodontics is typically used for children to correct a row of teeth or a specific tooth that is misaligned. This misalignment is known as a malocclusion. With interceptive orthodontics, your dentist can target malocclusions before they cause any more potential dental issues. 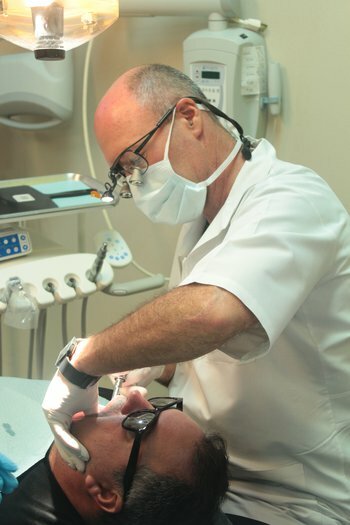 Comprehensive Orthodontics: Comprehensive orthodontics involves fixing the alignment and bite of your entire mouth. Typically, brackets and wires are used to shift your teeth back into their proper place. Braces are often worn for a period of up to two years. Although the treatment can be long, it can give you incredible results for a lifetime! With comprehensive orthodontics, you can finally have gorgeous, straight teeth! Orthodontics can enhance your appearance, but it can also leave a positive influence on your oral health. Orthodontics can make brushing and flossing easier. With straighter teeth, you won’t have to worry about food or debris becoming embedded in the nooks and crannies between your teeth. Orthodontics can also relieve your teeth from wear and tear. Wear and tear is often caused by teeth overcompensating for the role another tooth should play when chewing and biting. With straight teeth, your teeth should each be equally sharing the work, thus reducing wear and tear. Let us help you attain a beautiful, straight smile with our orthodontic options. At Echeverri Dental Center, we want to help you feel confident in your grin. Contact our Houston, TX dental office to learn more about our available orthodontic treatments. Call today to schedule an appointment!